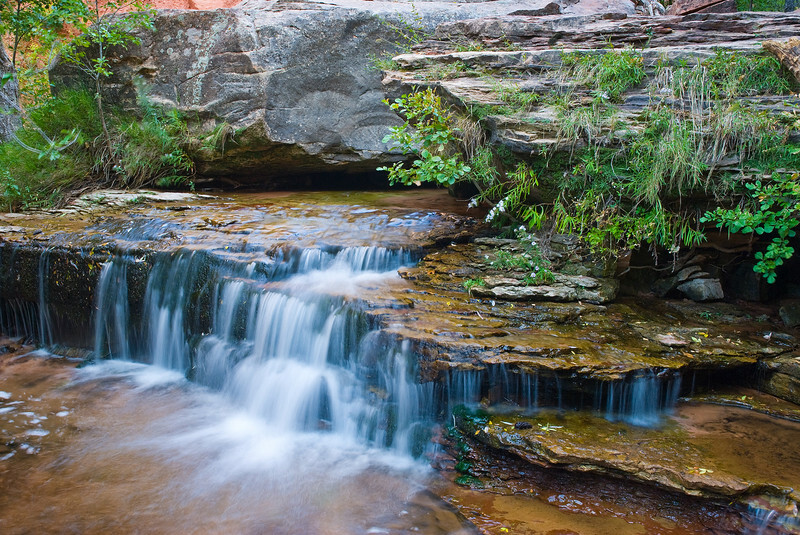 Waterfalls Streams.. any kind of moving water is definitely always one of my favorite go-to subjects. 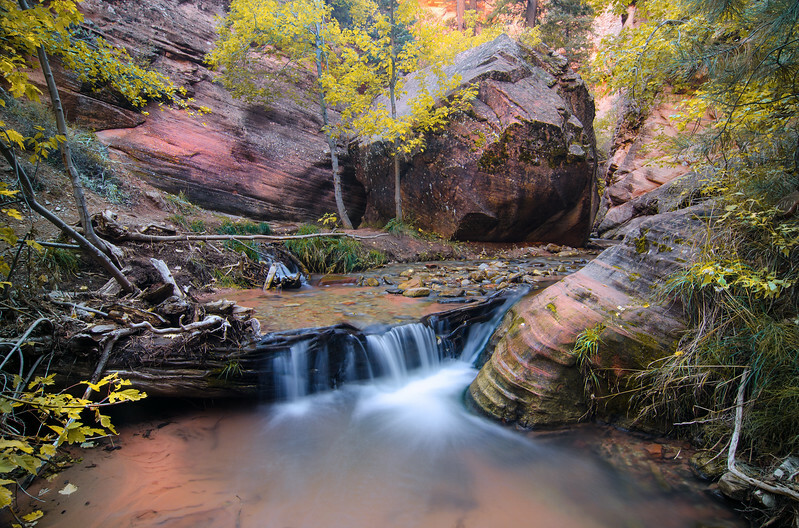 One more of the unique falls to be found along Taylor Creek in Zion. 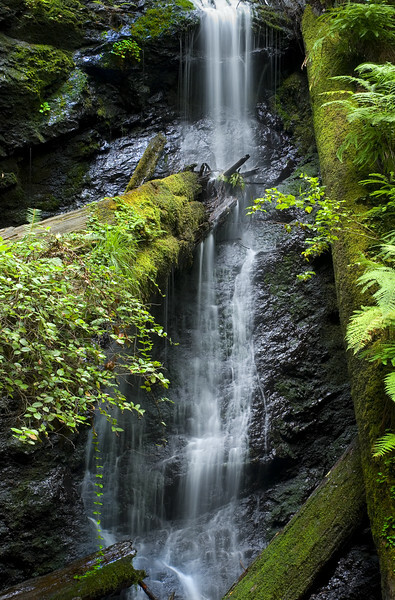 This is one of several small streams that flow down the west side of Mt. 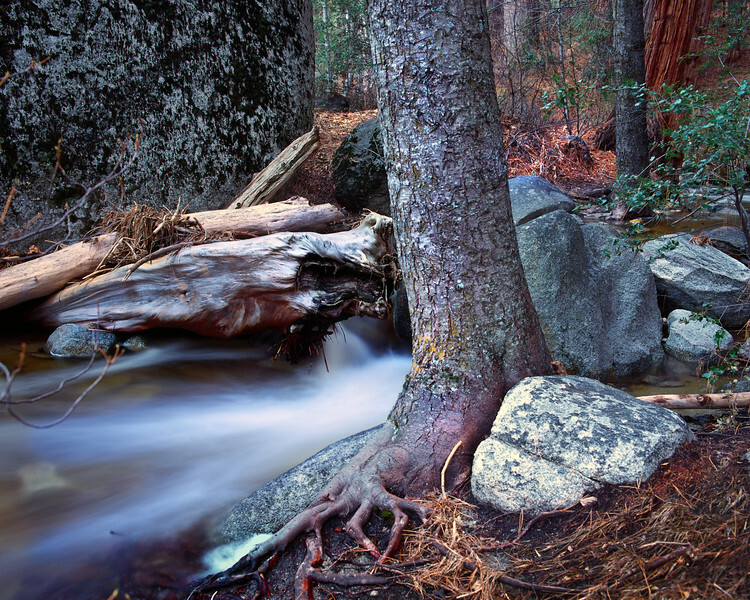 San Jacinto, captured here on a rainy, wet day in the deep woods. 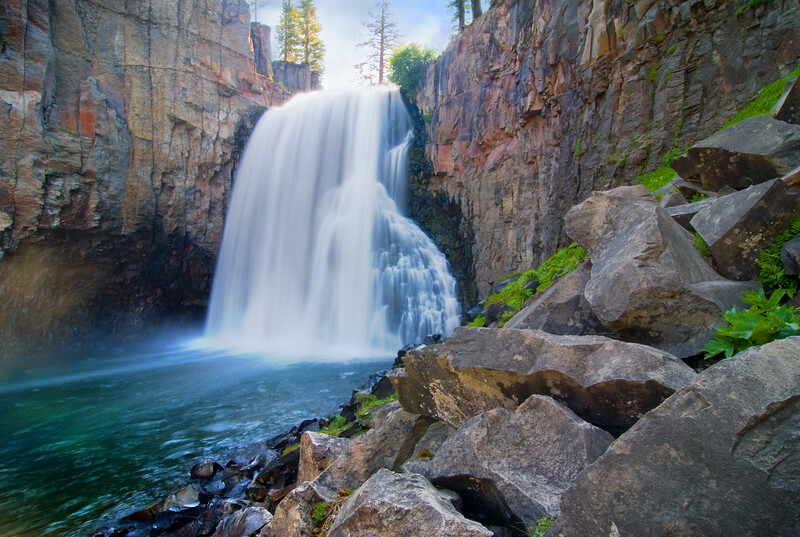 This awesome waterfall is found just outside the boundary of Devil's Post Pile National Monument near Mammoth Mountain on the east side of the Sierras. 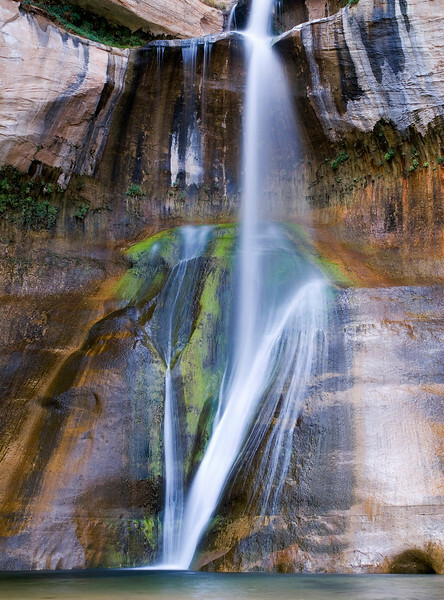 A hot 4 mile hike over a loose sandy trail to get to this well known and beautiful fall near Escalante in the Grand Staircase National Monument. 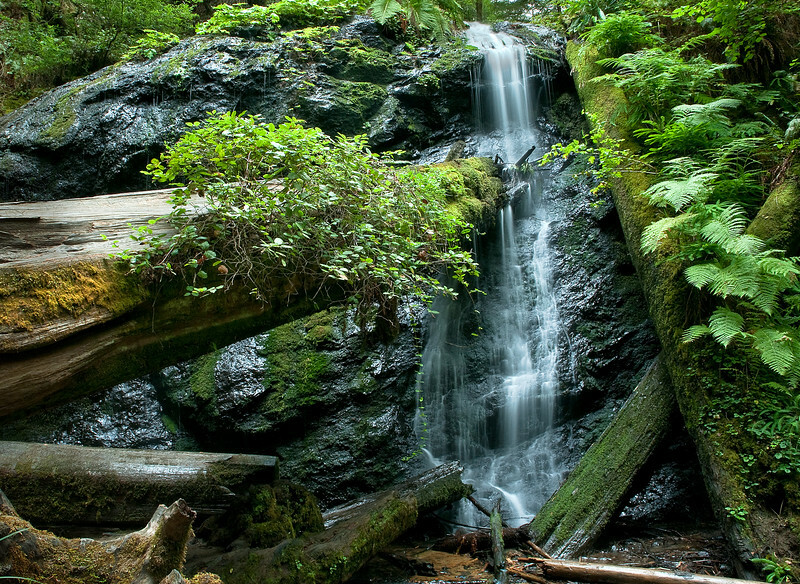 Almost everybody cools off in the pool at the bottom before heading back down the trail. 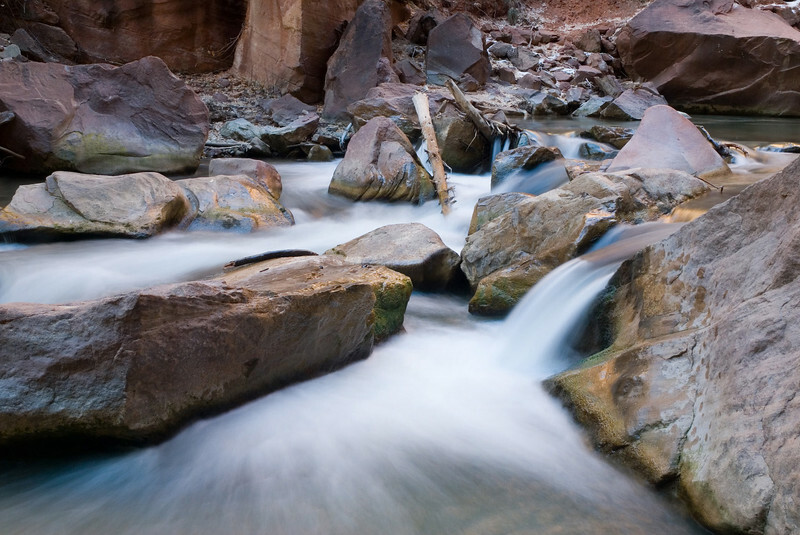 Gentle flow of the Virgin River though a spot below the Narrows in Zion National Park. 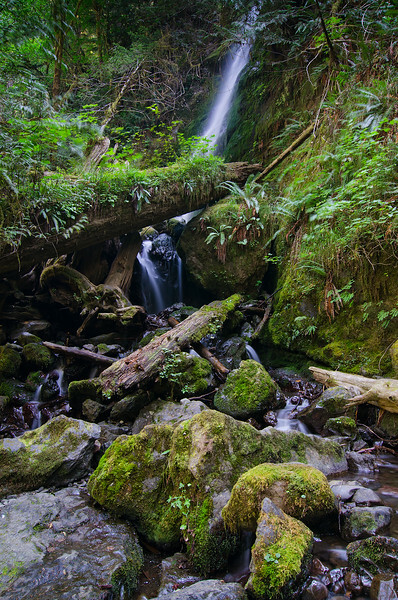 Light filtering through the dense redwood forest creates a shimmering effect on the decaying logs and volcanic rock of this beautiful little waterfall near Mendocino, in northern California. 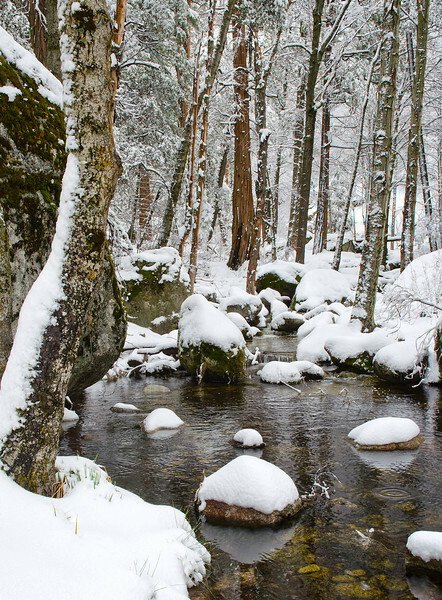 North fork of the San Jacinto River, just a few mile from my house, on the morning after a rather epic snow storm. 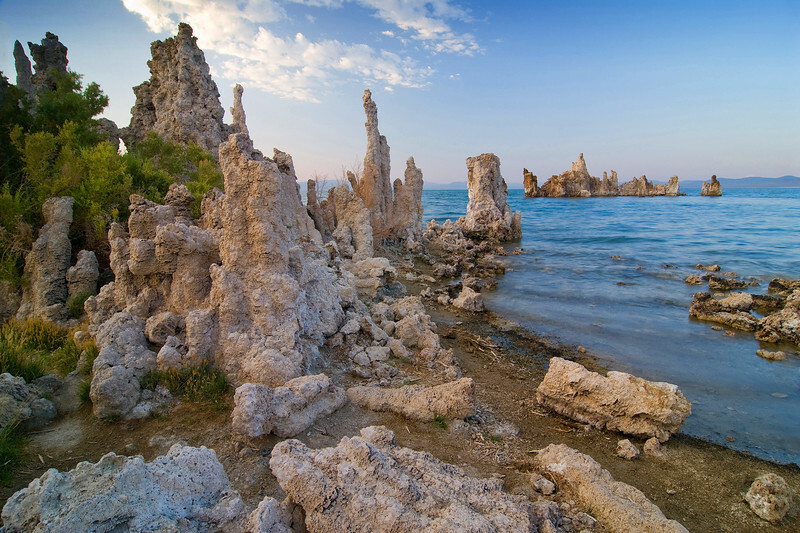 These mineral formations at Mono Lake know as "Tufas", were formed under the surface when the water level of the lake was much higher than it is today. 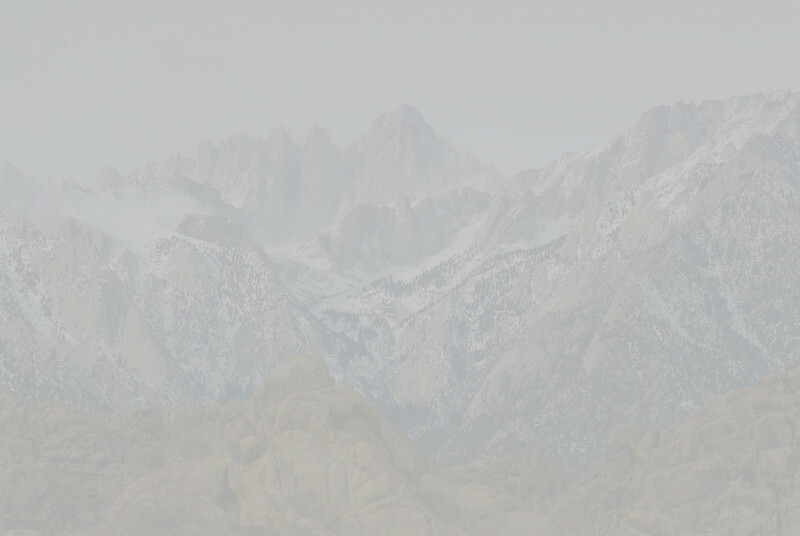 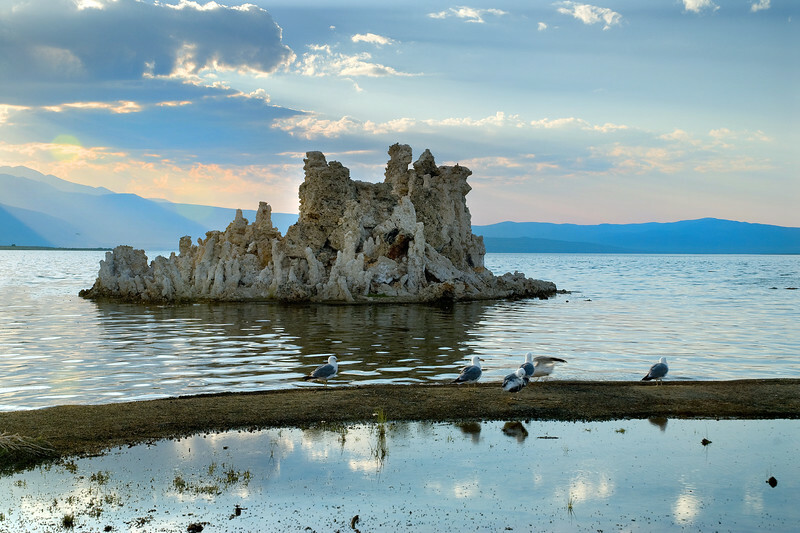 These gulls are far from the ocean, but seem to be happy on a calm evening at Mono Lake east foe the Sierra Mountains. 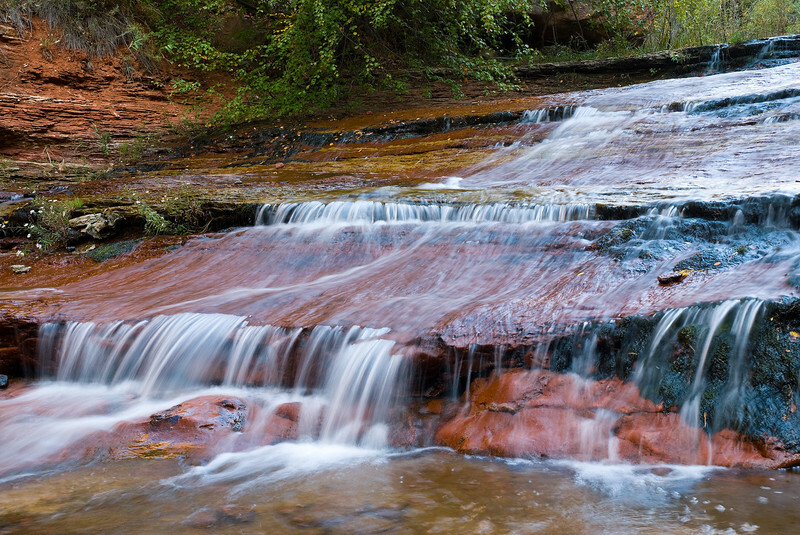 I guess they are at home with the size and saltiness of the water. 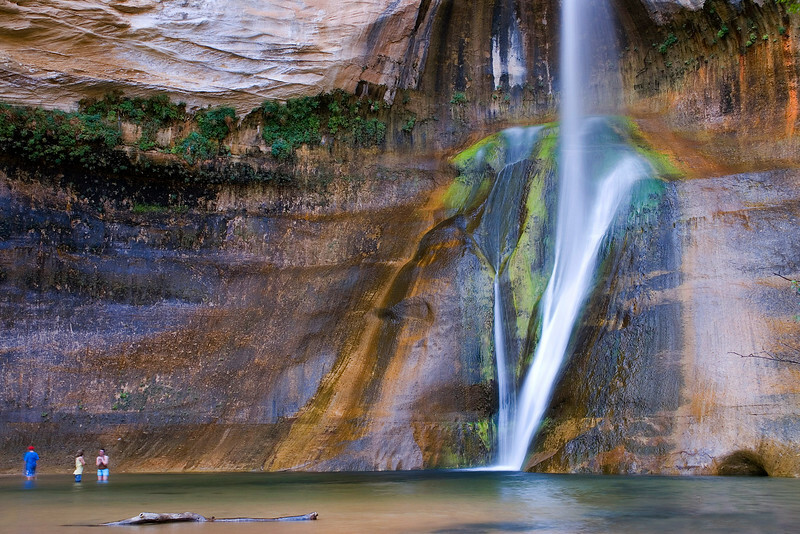 A stepped cascade in the Kolob Plateau area of Zion National Park. 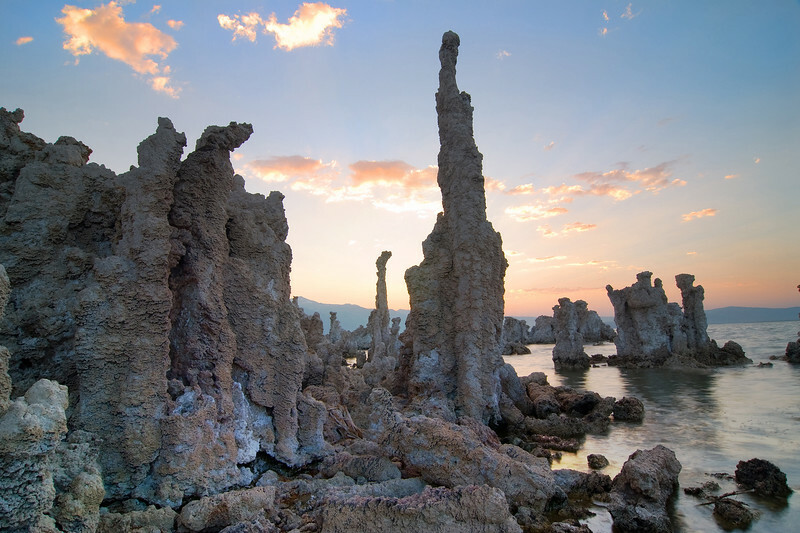 Mineral Tufa formations both on and off shore make the edge of Mono Lake so photogenic; this one captured at early evening in Summer. 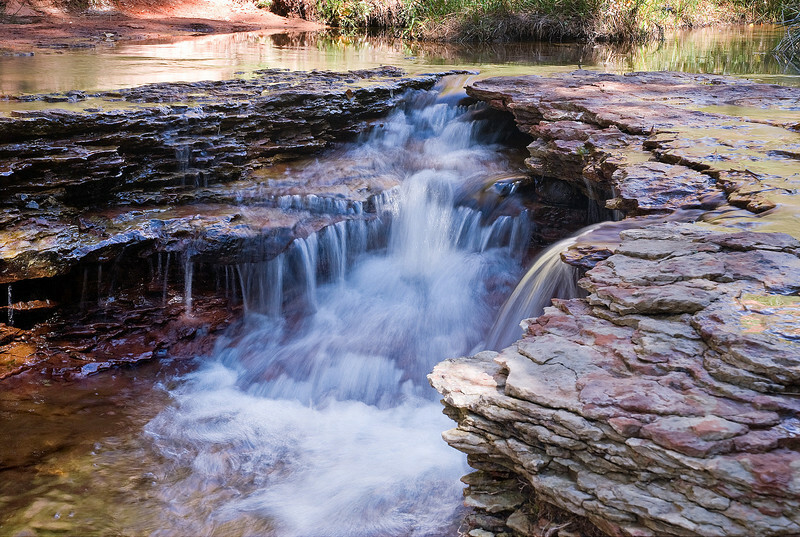 Wide format shot of the beautiful little waterfall at a spot on the San Jacinto River, just a few miles from where I live. Probably the best and best-known waterfall in all of Utah. 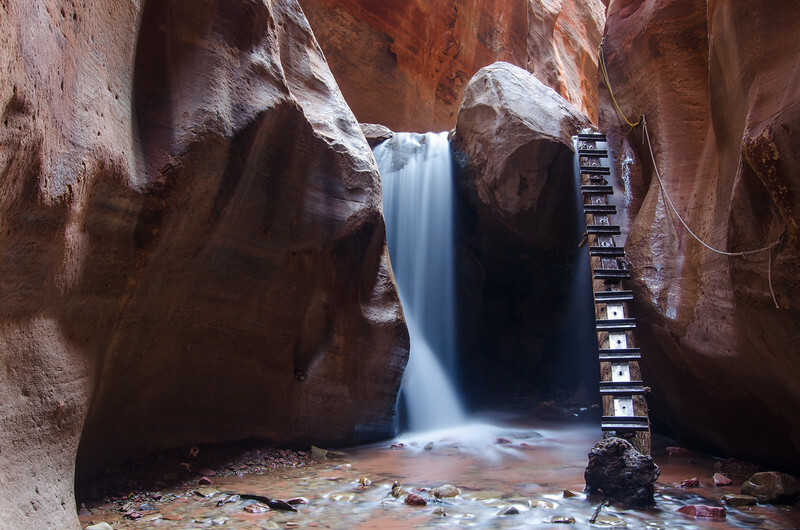 You have to hike several miles up a sandy, hot canyon trail to get here, but the cool pool and this beautiful setting are absolutely worth the walk. 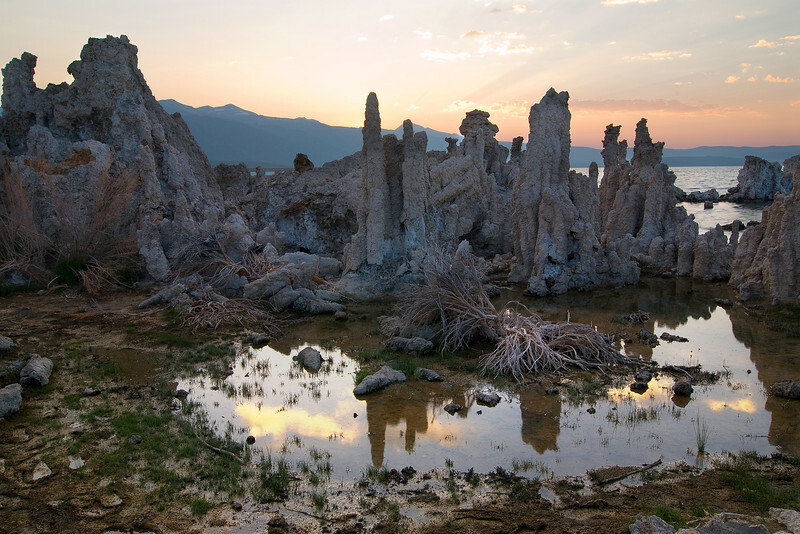 Tufa mineral formations and the sunset over the Sierras are mirrored in a shallow pool area on the shore of Mono Lake. 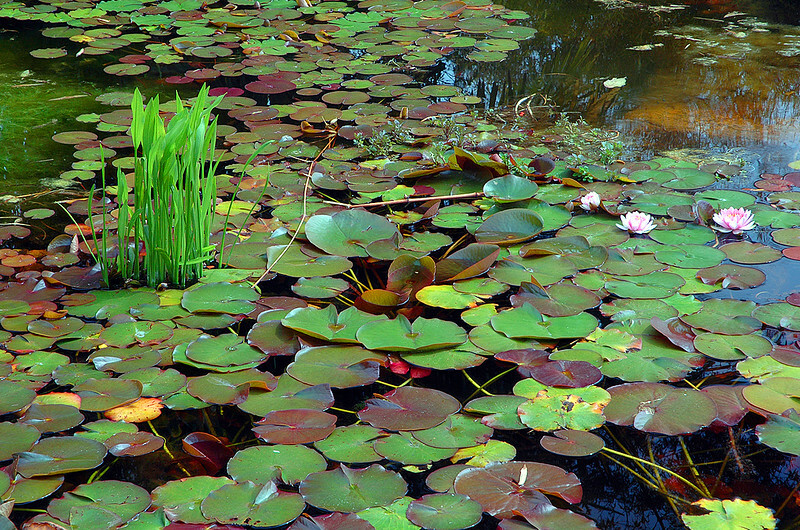 Flowers and lilly pads create a carpet of green against the dark water of this pond at Quail Gardens, just north of San Diego. 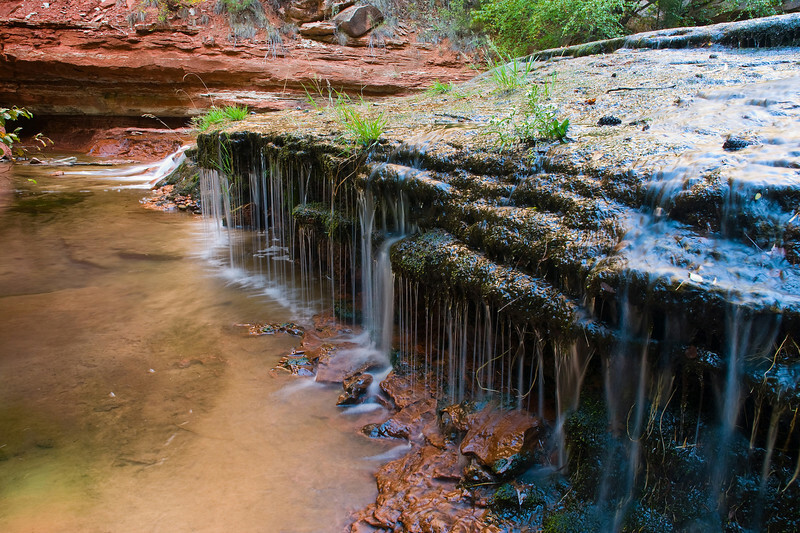 Another unique fall along Taylor Creek in the much less visited Kolob Plateau area of Zion. 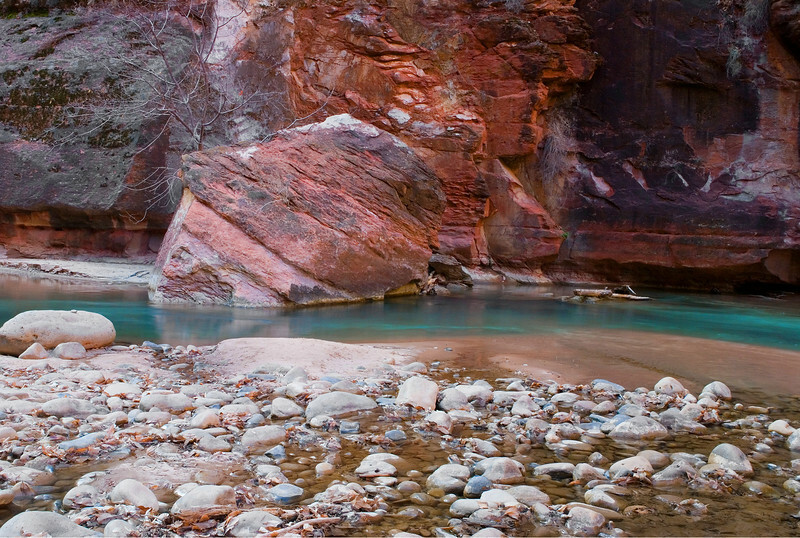 The Virgin River flows through an attractive rocky section of Zion Canyon. 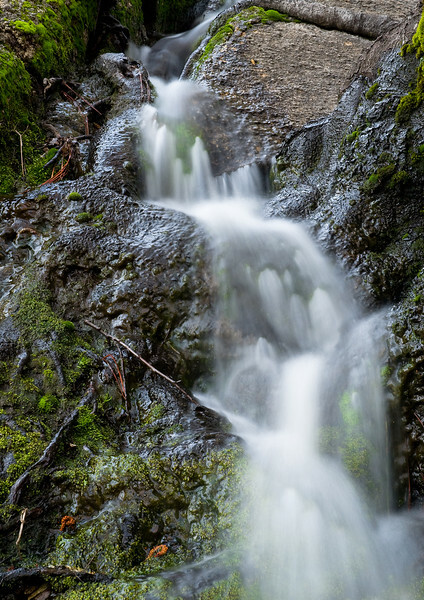 The outfall below a small lake in the San Jacinto mountains provided this study of moss, rocks and flowing water.